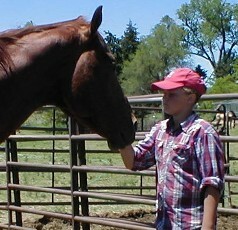 Pictures with rope halter are of Big Time at 19 years old. Big Time is the son of Easily Smashed and was raced as a 2 year old, but due to an injury, had a short race career, but he still offers well established bloodlines. He is a money earner with a race ROM, has a SI of 81 with 4 starts, he has a wonderful disposition, is well muscled with good bone structure, and a beautiful head. 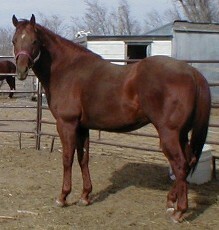 His breeding possesses proven genetics to produce champion race and barrel horses. 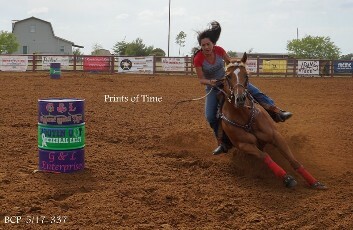 Makes a great out cross to most modern barrel horse lines! 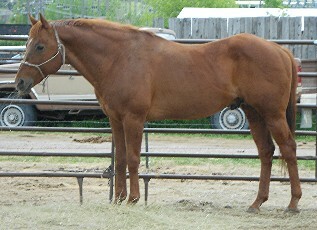 Crosses well on speed or cow bred mares! He has proven himself as a sire with race money earners running AAA, he has also produced several excellent money earning barrel horses. 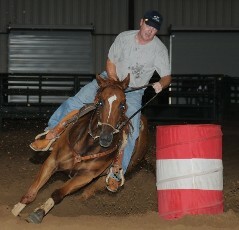 We are looking forward to him producing us some Barrel Racing Prospects. We just love all of the foals he has produced for us, they are very people friendly, smart, have the best temperments, and well musceled. 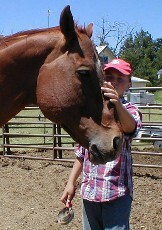 We do not breed Big Time to any outside mares! AAA $2,702, 26-6-4-1, ROM Race, DAM OF: Running Champ Jet Deck (AAAT) $200,625, Three Jets (AAAT), & Bar Deck (AAA), among others. 13 runners, 13 winners, 13 ROMs, 3 SWs. 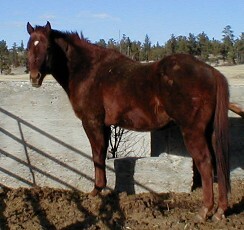 $6,675,17-0-3-1, 2nd: Miss America S., Debutante S., Dam of 8 foals, 7 starters, 6 winners. HEMPEN (c. by INDIAN HEMP) Stakes winner, MR BLAST (g. by FANFARE)-17 wins, $45,336, 3rd Presidents S. CHEROKEE ARROW (c. by INDIAN HEMP)-5 wins, $25,774. LORD IVAN (g. by TV LARK)-2 wins, $3,573. SERRY DREAM (f. by CONJURE)-winner at 2, $3,000. SPACE SPY (c. by MR. HEMISPERE)-2 wins to 4, $5,040. 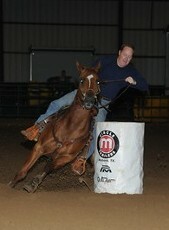 2009 - Go Smash Em (AKA: GoGo) - a 2004 sorrel mare is proving to be a natural at barrels. 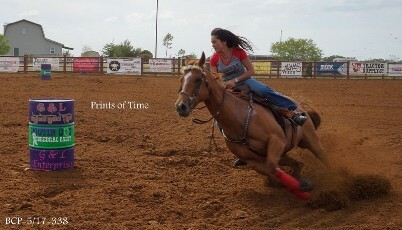 She has just started her career and already running a half to a whole second off the winning rodeo times, and she is a novice horse. 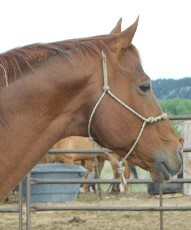 Once seasoned and hauled she should be a true 1D and rodeo horse. Keep an eye out for GoGo running in TX. Update - 2013 - GoGo is awesome. 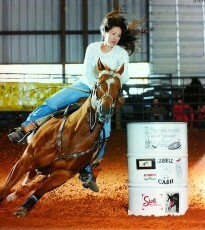 She has become our best horse and currently running 1D against TOUGH TOUGH NFR horses. Good luck to them in 2013!!!! UPDATE 6-2-2014 - Still going strong in 2014! Gogo (by Big Time Smash) finished in 5th place out of 307 entries this past weekend at BRAT. 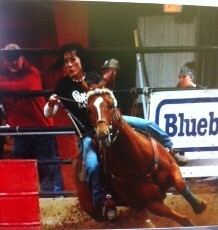 CASEYS BROETTA (TX) 2006 bay mare - Running barrels and in the money.